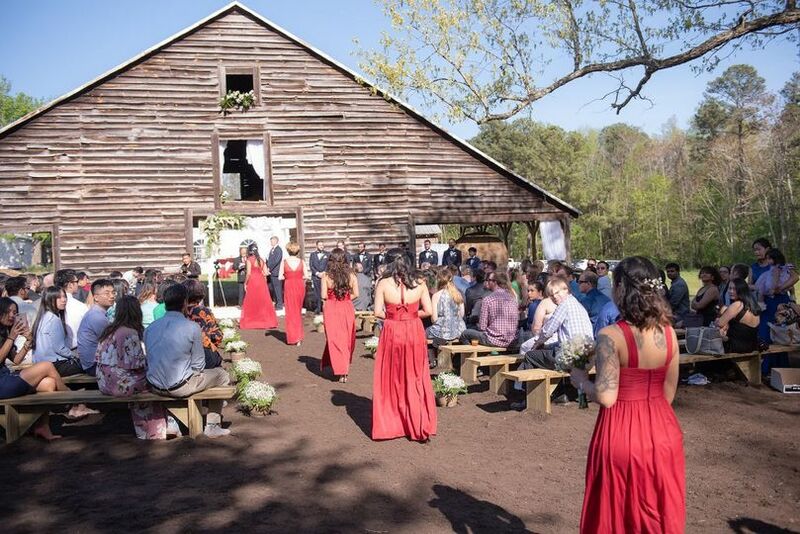 Warren Estate is a barn and farm wedding venue located in Warrenton, North Carolina. 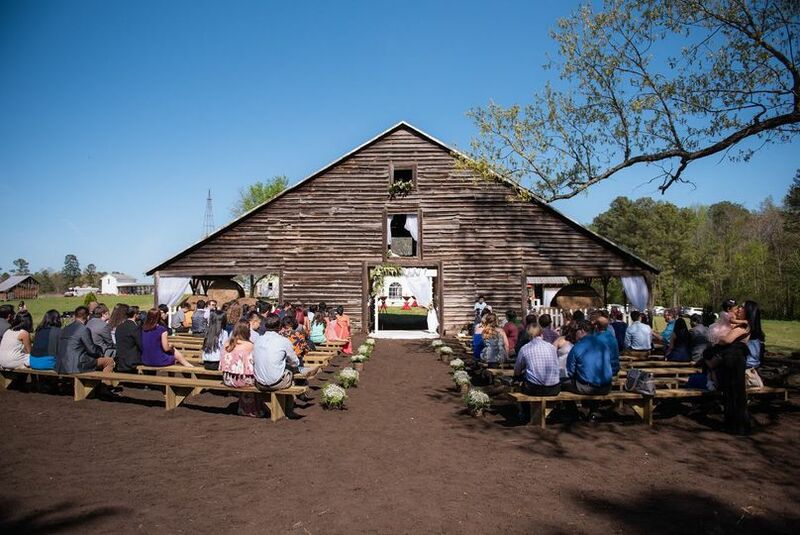 The beautiful 105-acre farm features a stunning and rustic location ready to host the wedding of your dreams. 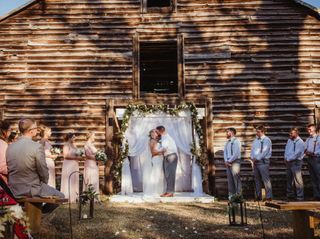 The sprawling land features many old buildings that make for memorable backdrops, and a 100-year-old barn that makes for a charming ceremony site. Warren Estate was founded by a group of siblings and their significant others who had a dream to own and run a farm where they could host weddings and share the importance of sustainable living and agriculture. In less than a year, the historic property was transformed to a space where you and your loved ones can celebrate the special night you’ve always envisioned. 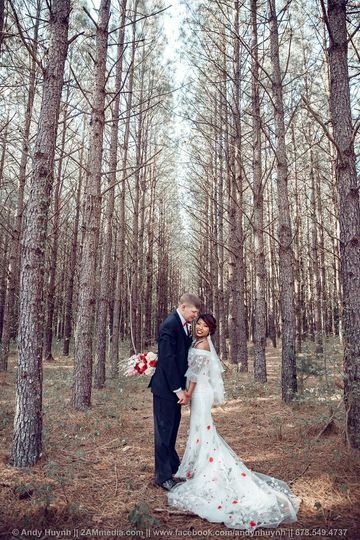 Warren Estate dates back to the early 1900s, and offers an elegant and rustic setting for you to hold your wedding. There are two different event spaces for you to choose from, including both covered and uncovered outdoor options. No matter where you are on the property, you will be greeted with breathtaking views of the surrounding land. 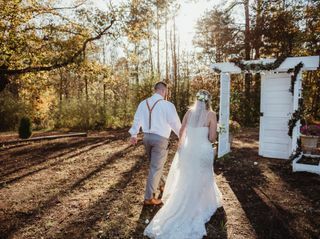 Your wedding day includes exclusive use of the farm, converted smokehouse and corn crib, barn, and bathroom facilities. There are also get-ready rooms for your wedding party to prepare for the day in. Warren Estate can happily accommodate between one and 250 guests, depending on your needs. Parking is available on-site for you and your loved ones. The swing is a perfect spot for newly wed photos. The bride stands on this side of the doors before she walks down the aisle. 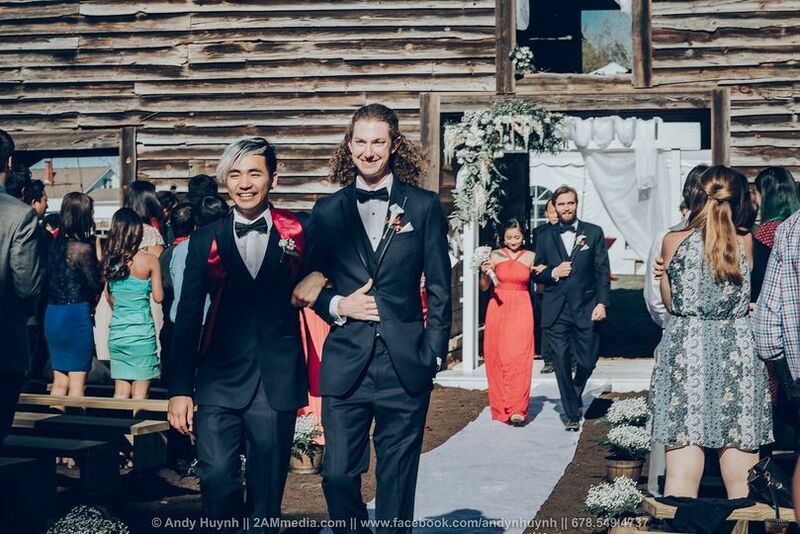 Walk through the doors before you walk down the aisle and say I do. One and only Cocktail Crib! The sunsets are unbeatable at Warren Estate. Lovely cake by Ambrosia Creations. 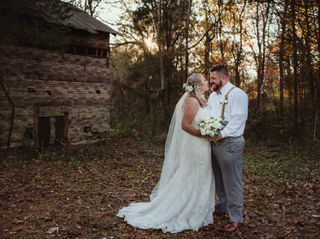 I got married at Warren Estate on November 10th 2018. 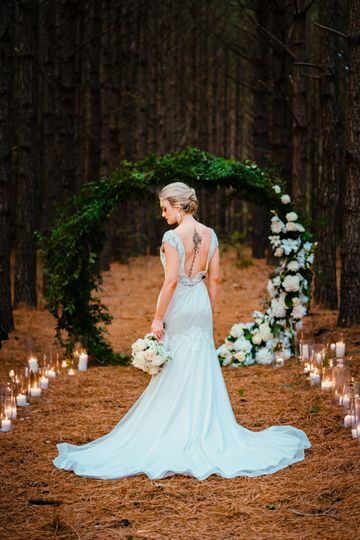 The team at Warren Estate made my wildest wedding dreams come true that day. 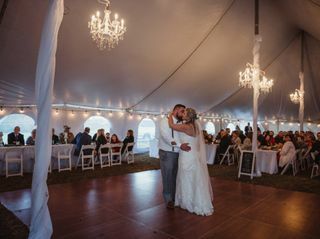 When I decided to have my wedding at the farm at Warren Estate, little did I know how amazing the outcome would be and the friendships I would make. Kevin and Hniang have become true friends to my husband and I and we couldn’t have imagined our wedding day without them. During the whole wedding planning process, any time I had an idea they told me how they’d make it happen. If I had any concerns, they took my worries away. The professionalism they portray as not only owners of the farm but the sole reason for what you see that goes on behind the scenes continues to amaze me still as I watch their business thrive. Everything you see down to the smallest of details they have put their own thoughts into. It was so rewarding to see all of our combined visions come alive on the day of my wedding! I cannot recommend Warren Estate enough to all my fellow engaged couples out there. It’s not only one of the most gorgeous wedding venues around here but run by some of the most generous and creative people. I’ve lived in North Carolina my whole life and can truly say this little farm tucked away in the town of Warrenton is one of the most beautiful places in the entire state. I could not have imagined saying “I Do” anywhere else! Not to mention, it has hundreds of breath taking backdrops and areas for pictures your photographers will love it. Thank you Kevin, Hniang and the whole Warren Estate team for making my wedding day all that I ever wanted. We just had our wedding at Warren Estate. This is a really cool venue with many rustic buildings in the event space. It was exactly what we were looking for. The place is super unique, I've never seen anything like it. 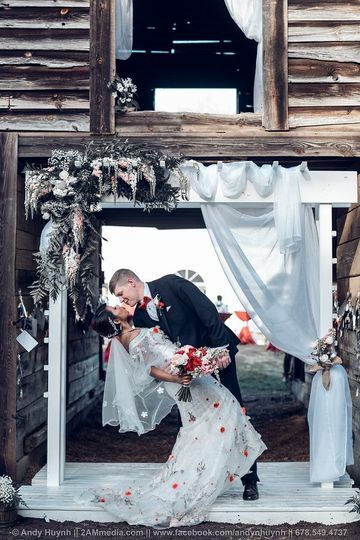 The setting was perfect and the ceremony side of the barn was absolutely stunning. 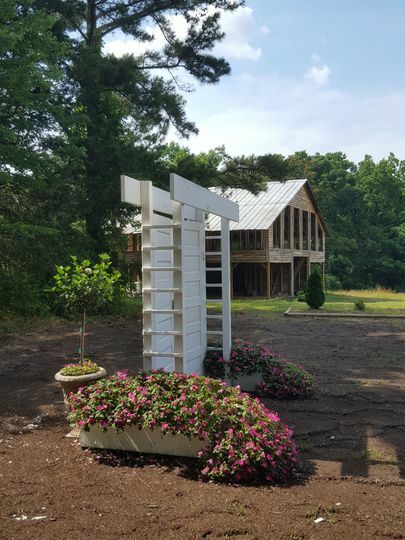 Flowers were freshly planted around the barn and the white arbor/doors were great additional features during the ceremony. The reception area was well lit, the lights on the rustic buildings were great. The bar was also really cool and unique. We were able to write our signature drink specials on the foldout chalk board. The staff was incredibly friendly and made sure we had everything we needed. They even let us use some extra tables and decorations they had on the property. 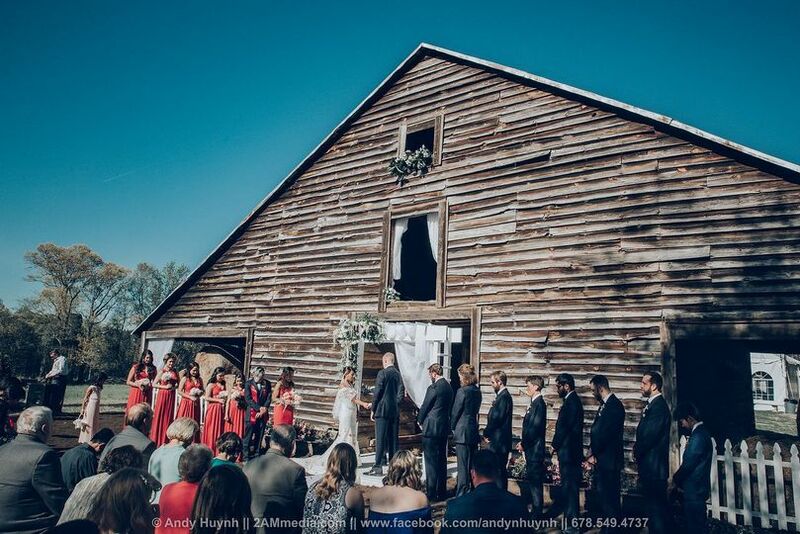 I highly recommend this space to couples that are looking for a barn/farm/rustic style wedding.